. استمتع بالخدمات الراقية والضيافة التي لا مثيل لها بهذا الفندق في كيرنز. يمكن الاستمتاع بمجموعة من الخدمات على أعلى المستويات في الفندق كمثل واي فاي مجاني في جميع الغرف, مرافق مخصصة لذوي الاحتياجات الخاصة, تسجيل وصول/خروج سريع, واي فاي في المناطق العامة, صف السيارات. تنعكس أجواء Edge Apartments Cairns في غرف الضيوف.تلفزيون بشاشة مسطحة, اتصال لاسلكي بالإنترنت, اتصال لاسلكي بشبكة الإنترنت (مجاني), غرف لغير المدخنين, مكيف هواء هي بعض الميزات الموجود في العديد من الغرف. يقدم الفندق خدمات رائعة كمثل حمام سباحة خارجي, حديقة لمساعدتك على الاسترخاء بعد نهار طويل من النشاط والتجوال في المدينة. 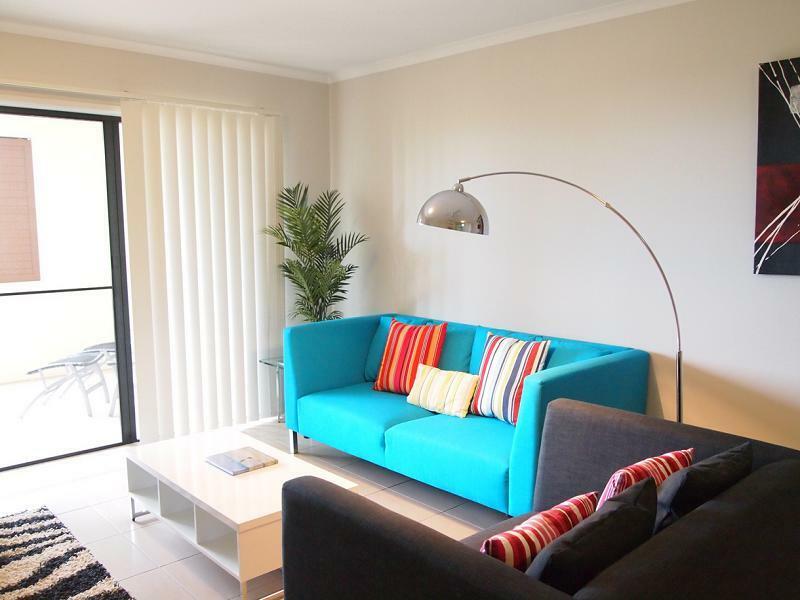 مهما كانت أسبابك لزيارة كيرنز، فإن Edge Apartments Cairns هو الخيار الأفضل لإقامة مثيرة وممتعة. This was a great sized apartment for our family to spend a week in. Be warned, the only wifi is in the main office so if you're traveling expecting wifi, this isn't the place. We also had to deal with an ant infestation in the kitchen. Not a deal breaker given the size and view, but not what I wanted to deal with on vacation. Only let down was that we couldn't access the Wi-Fi but it allowed for some quality family time. Undercover car park, spacious rooms, family friendly. It was a great family friendly apartment, i would love to stay there again sometime. Thank for a nice clean room but it would be better if you have a clean pool. Too far from city centre unless you have a car. Facilities (2 pools) worn and in need of a good clean. No other facilities. NO Internet unless you stand on ground floor near office. This is mostly a residential block of apartments and the residents have strict rules regarding any activity (loud is a no no). While the room was comfortable the carpets were disgustingly dirty and the furniture stained and worn. Don't let the pictures online persuade you as they are far from the reality. The location is just a little too far from the main area, it takes a good 20 minutes to walk.